Hanukkah (/ˈhɑːnəkə/ hah-nə-kə; Hebrew: חֲנֻכָּה khanuká, Tiberian: khanuká, usually spelled חנוכה, pronounced [χanuˈka] in Modern Hebrew, [ˈχanukə] or [ˈχanikə]in Yiddish; a transliteration also romanized as Chanukah or Ḥanukah), also known as the Festival of Lights and Feast of Dedication, is an eight-day Jewish holiday commemorating the rededication of the Holy Temple (the Second Temple) in Jerusalem at the time of the Maccabean Revolt against the Seleucid Empire of the 2nd century BC. Hanukkah is observed for eight nights and days, starting on the 25th day of Kislev according to the Hebrew calendar, which may occur at any time from late November to late December in the Gregorian calendar. The festival is observed by the kindling of the lights of a unique candelabrum, the nine-branched menorah or hanukiah, one additional light on each night of the holiday, progressing to eight on the final night. The typical menorah consists of eight branches with an additional visually distinct branch. The extra light, with which the others are lit, is called a shamash (Hebrew: שמש‎, "attendant") and is given a distinct location, usually above or below the rest. 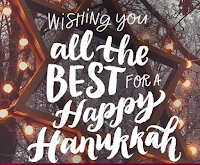 Hanukkah became more widely celebrated beginning from the 1970s, when Rabbi Menachem M. Schneerson called for public awareness and observance of the festival and encouraged the lighting of public menorahs. 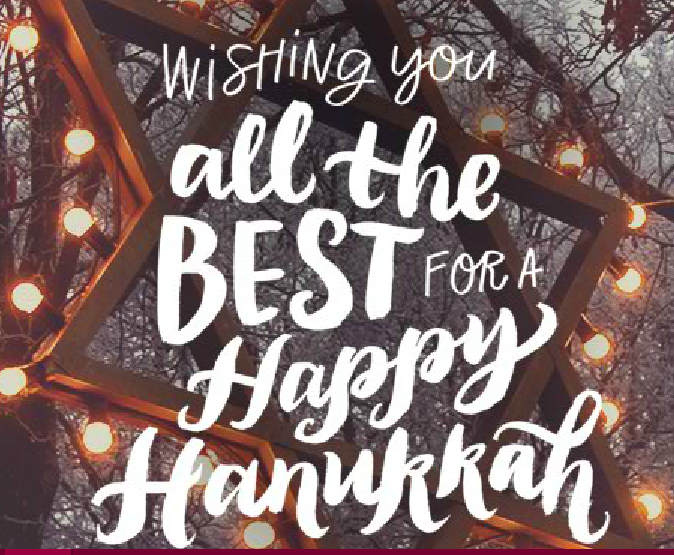 Diane Ashton attributed the popularization of Hanukkah by some of the American Jewish community as a way to adapt to American life, because they could celebrate Hannukkah which occurs at around the same time as Christmas. · The name can be broken down into חנו כ"ה, "[they] rested [on the] twenty-fifth", referring to the fact that the Jews ceased fighting on the 25th day of Kislev, the day on which the holiday begins. · חנוכה (Hanukkah) is also the Hebrew acronym for ח נרות והלכה כבית הלל — "Eight candles, and the halakha is like the House of Hillel". This is a reference to the disagreement between two rabbinical schools of thought — the House of Hillel and the House of Shammai — on the proper order in which to light the Hanukkah flames. Shammai opined that eight candles should be lit on the first night, seven on the second night, and so on down to one on the last night (because the miracle was greatest on the first day). Hillel argued in favor of starting with one candle and lighting an additional one every night, up to eight on the eighth night (because the miracle grew in greatness each day). Jewish law adopted the position of Hillel.